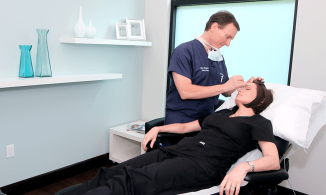 Dr. Buckley is a board certified, fellowship trained, Mohs micorgraphic and reconstructive cosmetic surgeon. He is a native of Kentucky, and received both his undergraduate and medical degree, as well as completed a residency in Family Medicine at the University of Kentucky. From there, Dr. Buckley moved to Fort Lauderdale to complete his Dermatology Residency at Nova Southeastern University and Broward General Medical Center and was elected as Chief Resident during his final year. After finishing his dermatology residency Dr. Buckley went on to complete an ACGME Procedural Dermatology Fellowship in Mohs Micrographic Surgery, Cosmetic Surgery, and Laser Surgery at the Skin Institute of South Florida Procedural Dermatology Fellowship program. He is one of the few Mohs surgeons in south Florida that focuses his expertise solely on Mohs and reconstructive surgery and has performed over 15,000 cases to date. In addition to being a board-certified Dermatologist and fellowship-trained Mohs Surgeon, Dr. Buckley is a Diplomat of the American Osteopathic Board of Dermatology and a Fellow of the American College of Mohs Surgery, the American Academy of Dermatology, the American Osteopathic College of Dermatology and the American Academy of Cosmetic Surgery. Dr. Buckley enjoys mentoring students and has written multiple publications in leading medical journals and presented lectures at numerous conferences. He also leads an active lifestyle enjoying outdoor activities such as flying, boating and camping.